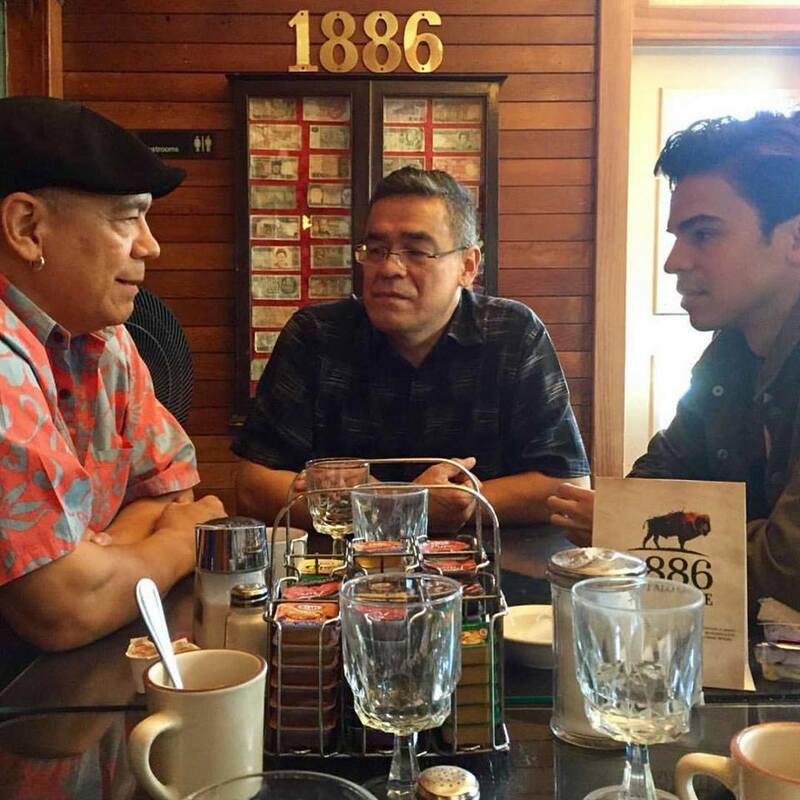 Hunter with his father Lewis, and uncle Lorne, sharing stories. Since last October, I have been waking at 5:00 am to work. Or made an earnest attempt to do so, at least. That practice has become particularly meaningful this month, June, which is Egg-Hatching Moon, translated as following through on a nurtured idea. Those 5:00 am mornings have come to put my storyteller self in a space it couldn’t reach often enough in the past, and now, more frequently, I seem to have the space to think and fully engage in whatever the day brings. Some mornings there is no reason to rise early, other than to be tired, push myself, and stick with a habit. When I think back to theatre school, I was good at getting myself there on time, but not good at going to bed at 8pm, and I ponder, how different would my experience have been if I had given myself those extra resources? As I am currently playing Hamlet in the Freewill Shakespeare Festival my mind is filled with theatre metaphors. As a result I have come to think of discipline like holding a fencing foil in stage combat: you have to hold it light enough to control it, but still tight enough so you don’t become disarmed. When you hold it just right, you don’t have to be so reliant on motivation, which can be fickle, but you can better respond if that battle should intensify. Striving to better understand ourselves is a daily feat, whether conscious or subconscious. Giving myself the space to be more present has led to a shift in how I show up. For example, when preparing for a meeting, instead of trying to know everything going in, I prepare just enough to ask great questions. Being present also puts distance between me and my fears; I can witness feelings, but do not have the need to react. Hunter as Hamlet in 2018's Freewill Shakespeare Festival. Photo Credit: Ryan Parker. It’s a Cree word meaning “to own oneself”; to have agency over what it is you do, instead of reacting or responding to whatever comes your way. Instead of something good—a profitable day, an open mind, a successful stage performance—happening by chance, it can happen because you are more in control of where the work is coming from. What is the point in discipline? Why endure the discomfort? When it is my time, I need to know I didn’t leave anything on the table—that I did everything I could to lift up the next generation. When I ask myself “How tenacious can I be?”, “What I am truly capable of enduring?”, to answer honestly, I must practice “tipiyemisowin”. Discipline. Agency. I may be capable of a lot, or maybe very little, but I don’t want that to be a mystery.